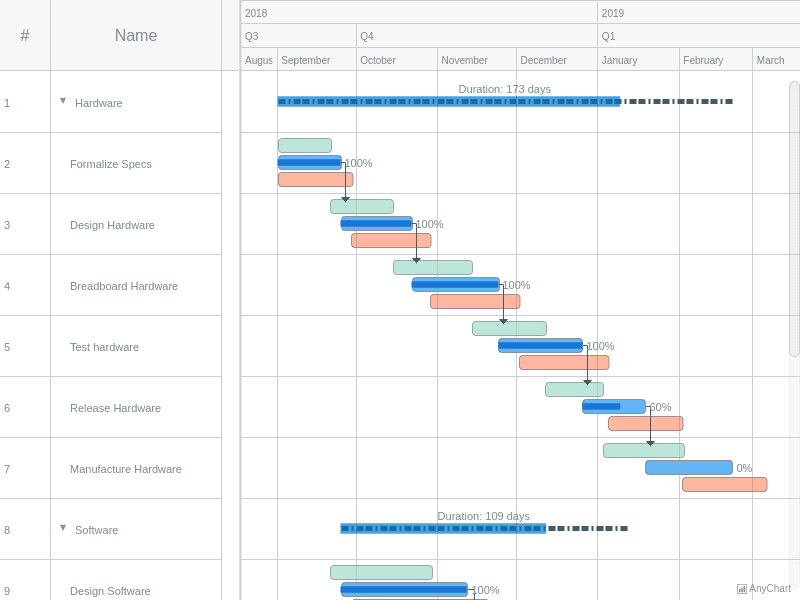 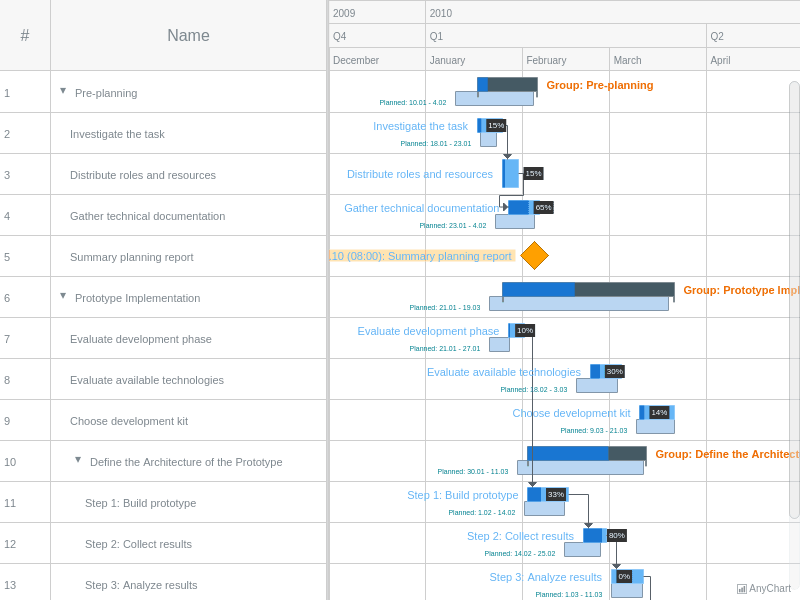 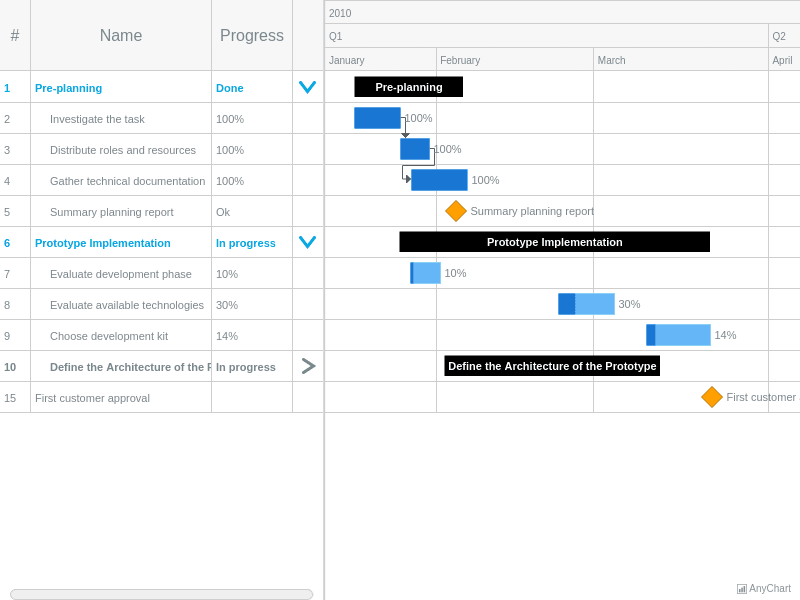 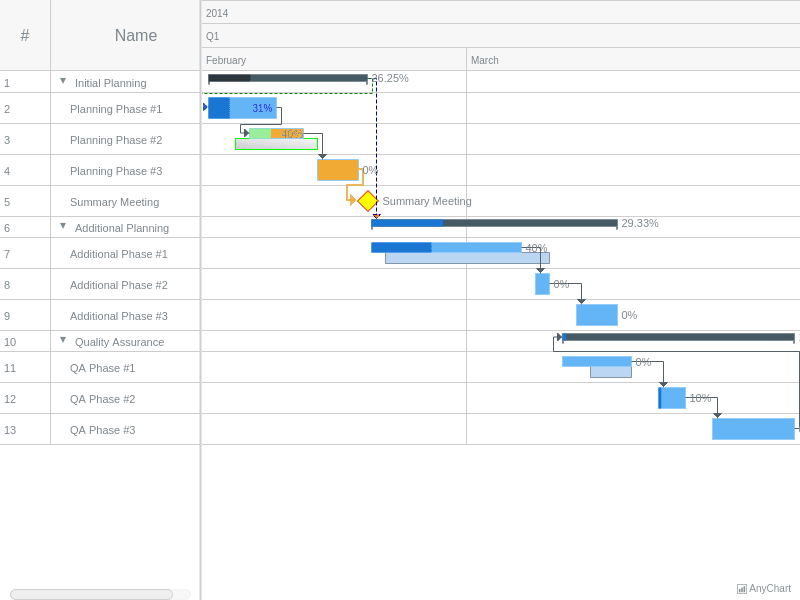 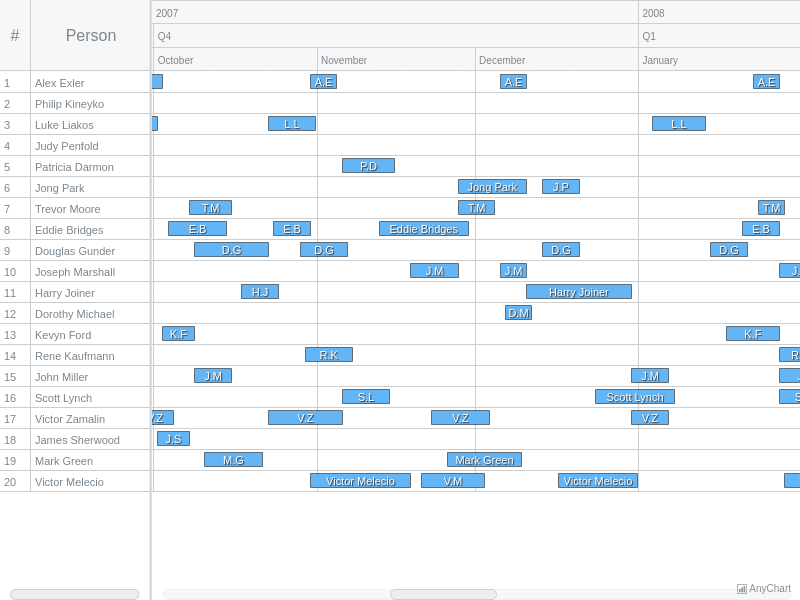 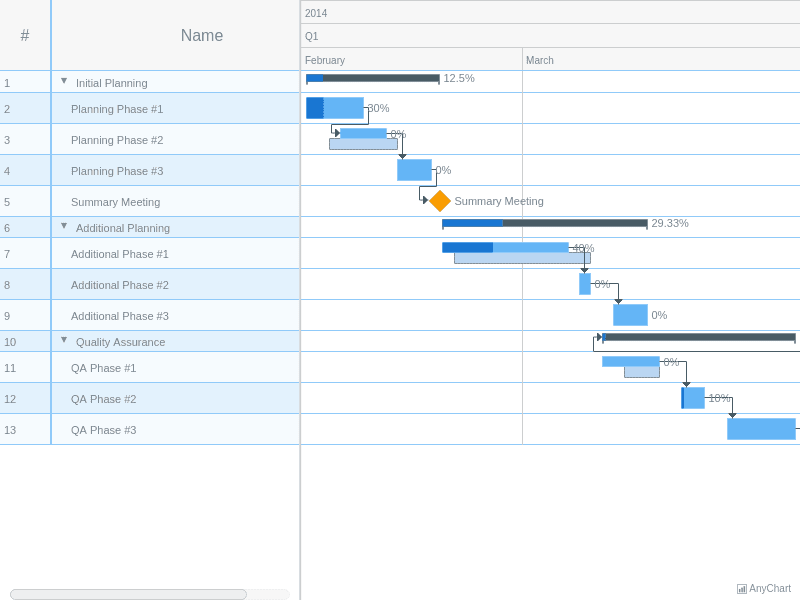 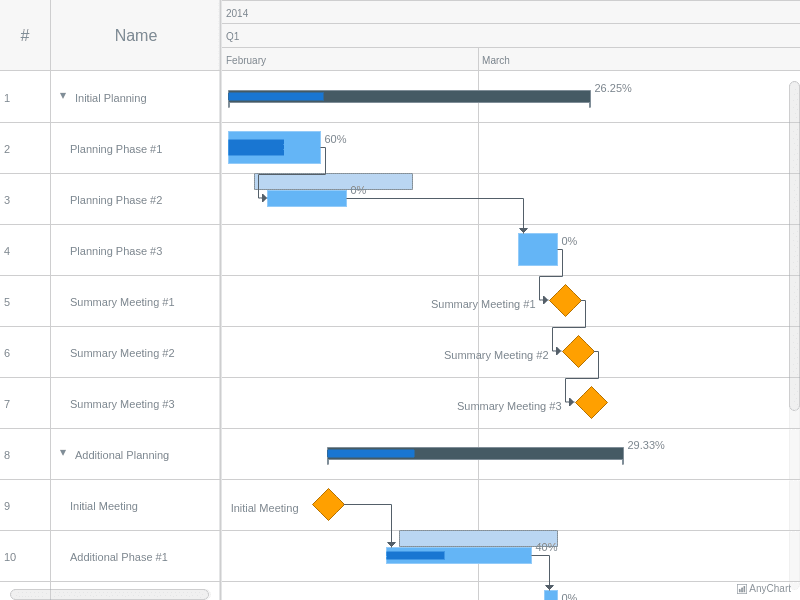 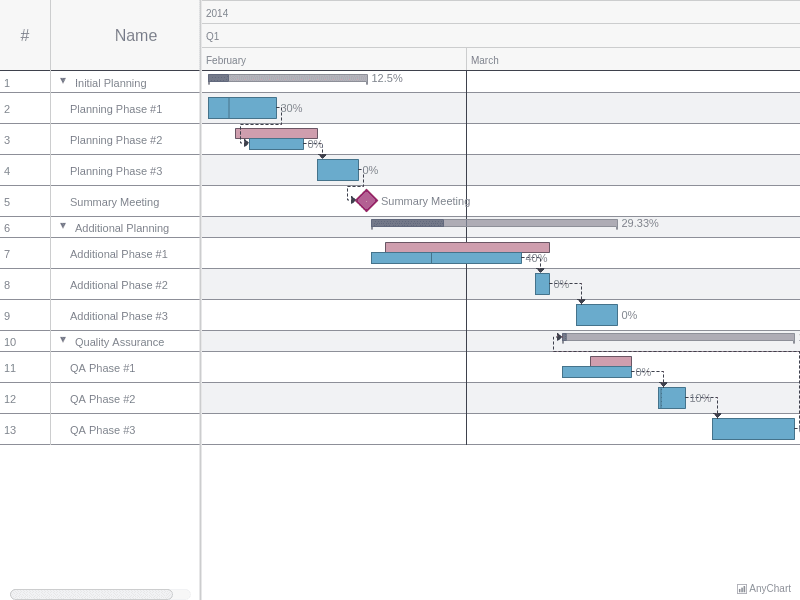 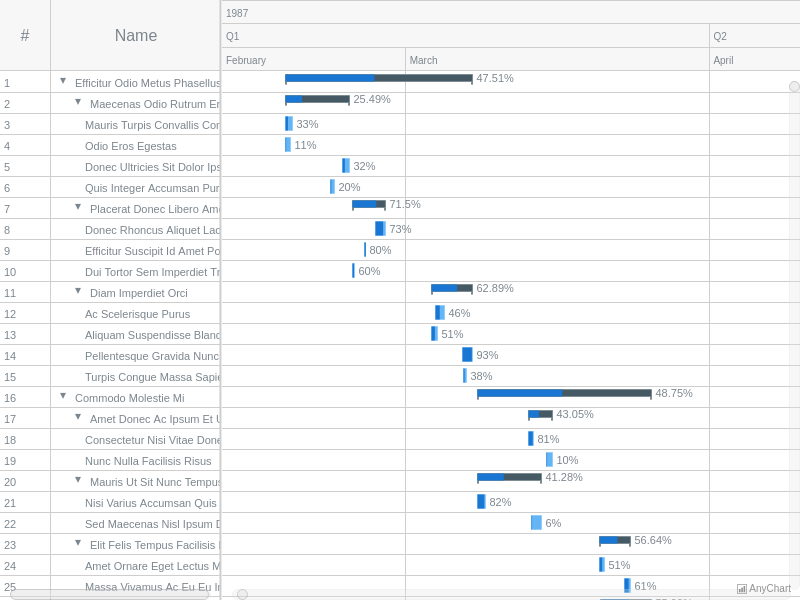 Gantt Chart with Elements Custom Size and PositionGantt Chart example showing how to customize the size and the position of elements. 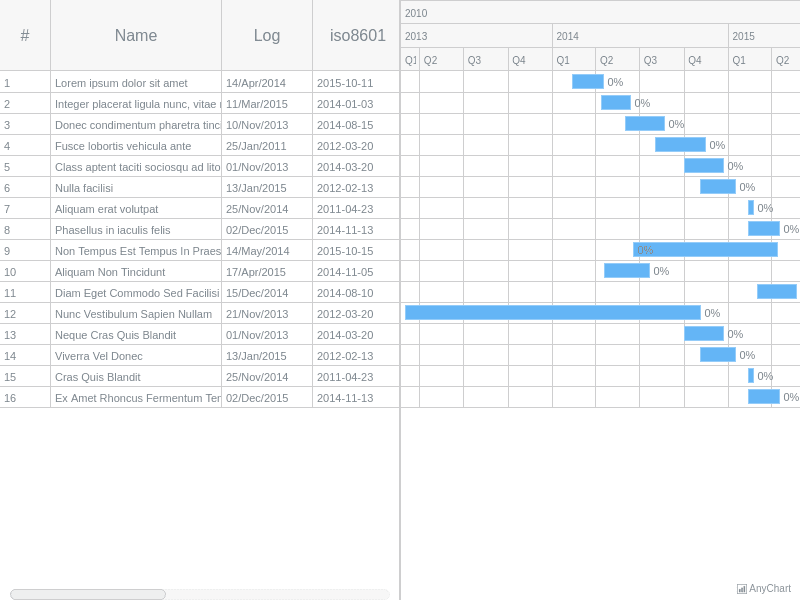 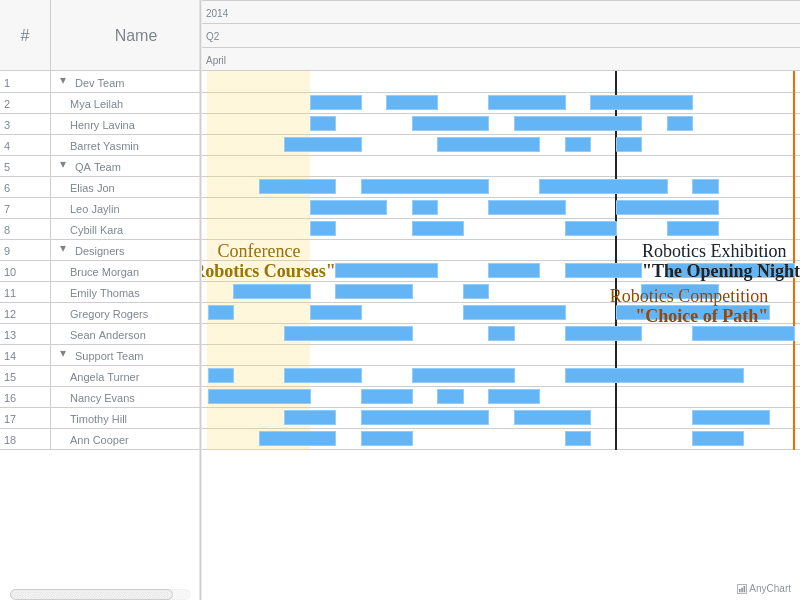 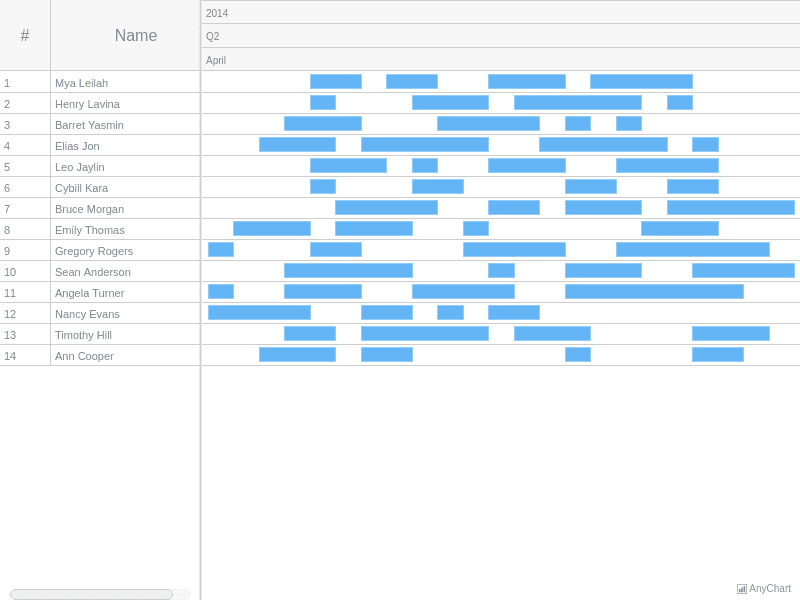 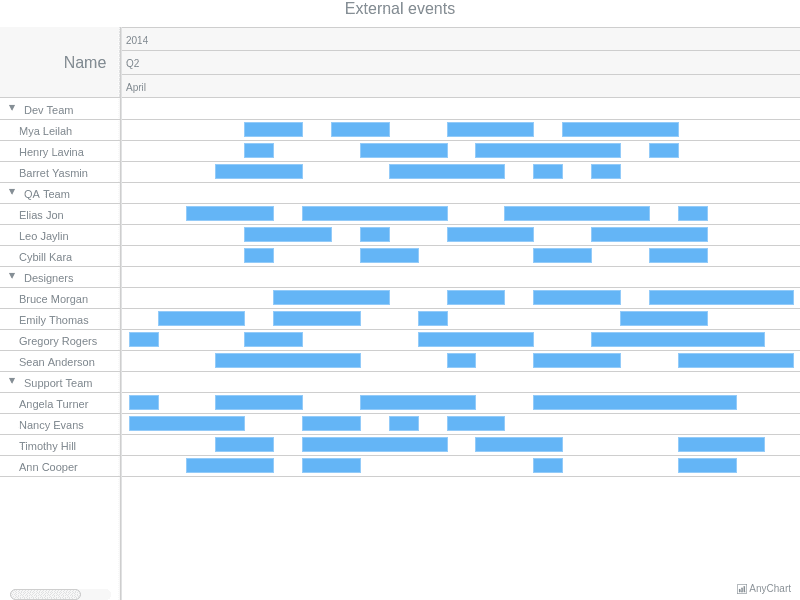 Human Resource ChartResource Gantt Chart example using Adaptive Text Formatting for labels. 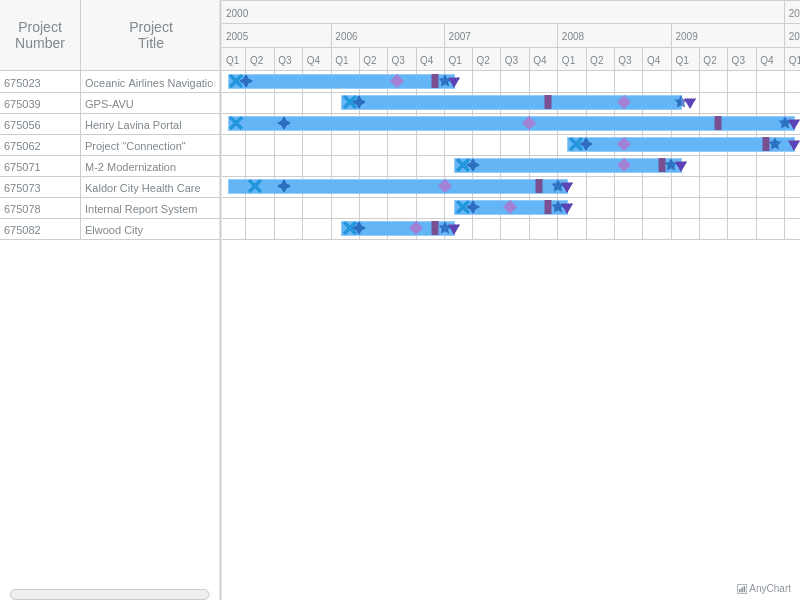 Styling LabelsCustomizing the labels on a Gantt Timeline.